Our Farm Café sources from the surrounding fields and pastures, and supplements this bounty with other high quality ingredients. 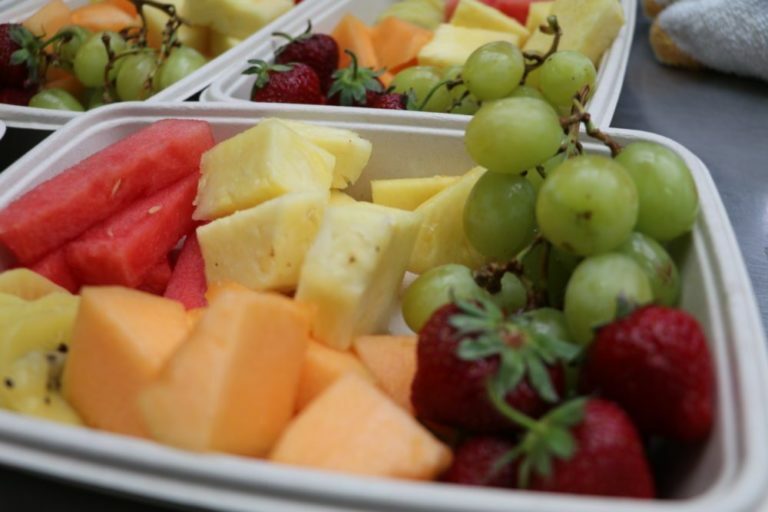 The Farm Café prepares food with ingredients that are harvested fresh from our organic, GMO-free fruit and vegetable production plots. Meat products come from our pasture-raised cows, sheep, chicken and pigs, grown on organic feed. Our laying hens reside on pasture in our Mobile Hen House, and provide the rich eggs for the café. When an ingredient cannot be found on the farm, we do our best to support the local economy, sourcing products that are grown and produced as close to us as possible. 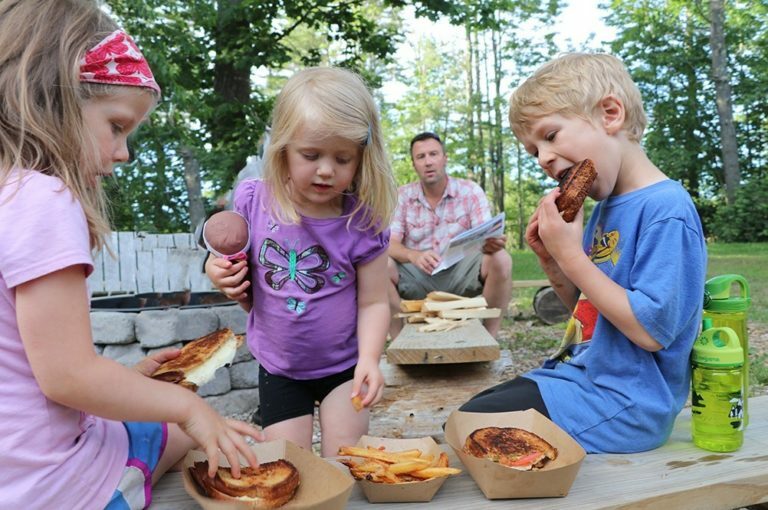 Gather around our campfire and enjoy pizza from our mobile wood-fired pizza oven, complete with toppings grown on the farm. Fun for the whole family! Served 5-7pm on Tuesdays, Wednesdays, and Thursdays during the summer season. Our popular breakfast items are perfect for starting your day of camping off right. 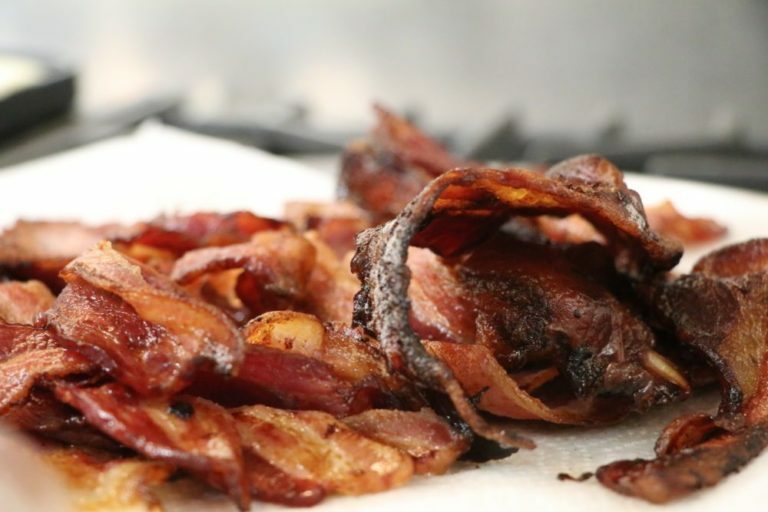 Our delicious breakfast sandwiches use our pasture-raised eggs, bacon, and sausage. And our fruit smoothies feature yogurt from Stonyfield, which uses the organic milk from our dairy herd in its production. When you make a purchase from the Farm Café, you are connecting with your food in a unique way. How often do you eat an egg that was laid that morning, enjoy a salad from greens grown right down the road, or meet the farmer who raised the beef for your burger? At Wolfe’s Neck Center, it is our mission to transform your relationship with farming and food for a healthier planet, and eating at the Farm Café allows you to live that mission. Your contribution to the café supports our farm-based education programs, and enables our farmers to continue producing the premium, organic products that you love. 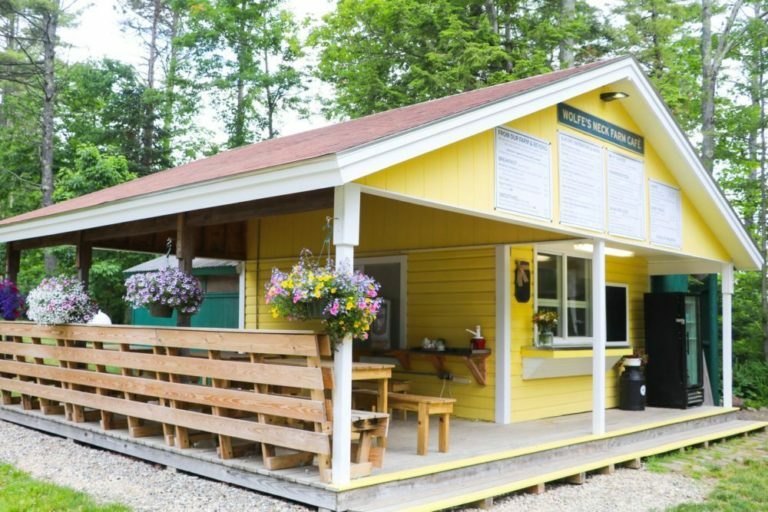 You can find the Farm Café next to the Wolfe’s Neck Oceanfront Camping office located at 134 Burnett Road in Freeport, Maine. The Farm Café will be opening for the 2019 season in late spring. Please check back soon for more information.